Qiagen said it will partner with Health Innovation Manchester to build a precision medicine campus in Manchester’s health innovation district, using £21 million ($27.8 million) in funding approved today by Manchester City Council. Qiagen will work with Health Innovation Manchester—a partnership that joins academic and industry institutions with the U.K.’s National Health Service (NHS)—to create the precision medicine campus within the Corridor Manchester Enterprise Zone. The campus will house Qiagen’s planned European Centre of Excellence for Precision Medicine and hub for diagnostics development. “We expect this collaborative initiative to serve as an innovation incubator to support translating genomic biomarkers into clinical use and ultimately to yield benefits for our customers and patients everywhere who need advanced diagnostic insights,” Qiagen CEO Peer M. Schatz said in a company statement. Qiagen now has about 270 employees based in Manchester, and said it is committed to further growth. 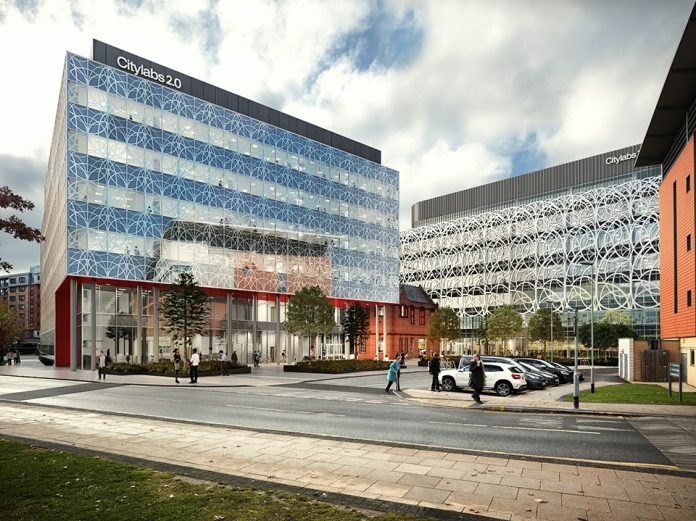 The Manchester operation plans to move into a new state-of-the-art facility in 2020, Citylabs 2.0, at the heart of the new genomics campus. Health Innovation Manchester said the campus is envisioned as another anchor for Manchester’s life sciences sector, acting as a market for related small and medium-sized enterprises as part of a broader Applied Health Innovation Campus, and reinforcing the city’s reputation at the cutting edge of innovation. The new campus would join two existing campuses designed to advance innovation in biopharma and other technologies, the Corridor Manchester innovation district along Oxford Road, and nearby Alderley Park. Health Innovation Manchester projects the precision medicine campus will directly create about 250 jobs, protect an additional 215 jobs, and support more than 1,000 more jobs indirectly across the region, while contributing £140 million ($185.3 million) to Manchester’s economy over a decade. In addition to creating jobs and economic activity, say Health Innovation Manchester and partners, the new campus will benefit residents by advancing the development of new diagnostics and personalized treatments. MSP Managing Director Tom Renn said Qiagen will anchor Citylabs 2.0, the £60 million ($79.4 million), 220,000-square-foot next phase of MSP’s Oxford Road Citylabs campus. Citylabs 2.0 is being developed for MSP by its majority shareholder, the property development and management company Bruntwood, and its joint venture partner Manchester University NHS Foundation Trust. Biopharma and other life sciences already contribute more than £10.8 billion ($14.3 billion) annually to the UK economy. The life sciences sector was identified in the Northern Powerhouse Independent Economic Review as one of the North of England region’s key strengths and opportunities, and in the government’s industrial strategy as a huge opportunity. The precision medicine campus has also received a commitment of £3 million ($3.9 million) in loan funding from the Greater Manchester Combined Authority, consisting of the councils for Manchester and nine nearby U.K. towns (Bolton, Bury, Oldham, Rochdale, Salford, Stockport, Tameside, Trafford and Wigan) said the Mayor of Greater Manchester, Andy Burnham. “This week we secure our position in 21st century health innovation with this global deal,” added Burnham.